Photos by Paul Scholes, no reproduction without permission. The photos are from the outside broadcast of the annual RAC Rally called ‘Rally Report’, which was produced at Pebble Mill for many years. 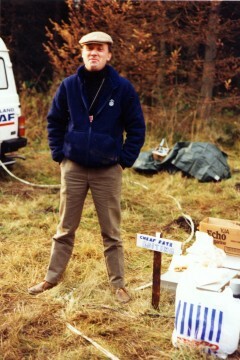 The team would record and edit from the location, moving on each day, finishing the nightly broadcast and transmitting via satellite from the OB truck. 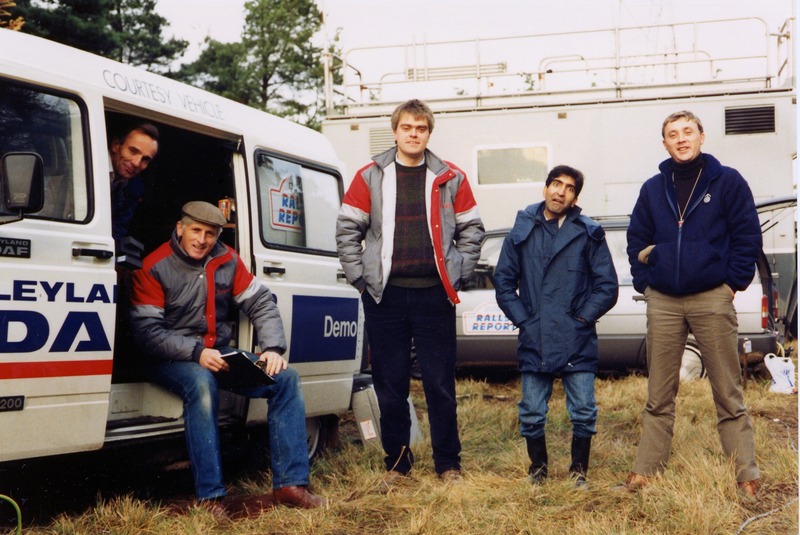 The top photo shows left to right: Chris Rowlands (film editor), Ken Pollack (producer), Jon Bentley (producer and now presenter of Fifth Gear), Gurpi Sani (post production engineer), Pete Shannon (editor). The lower photo shows Jon Bentley and Pete Shannon.